How enchanting to think of this spread out on the grass, with a jug of wine, “and thou singing beside me in the wilderness…” What a delight. You probably guessed that this would win my heart Carin. What can be better than that first load of laundry out on the line in the fresh spring air? 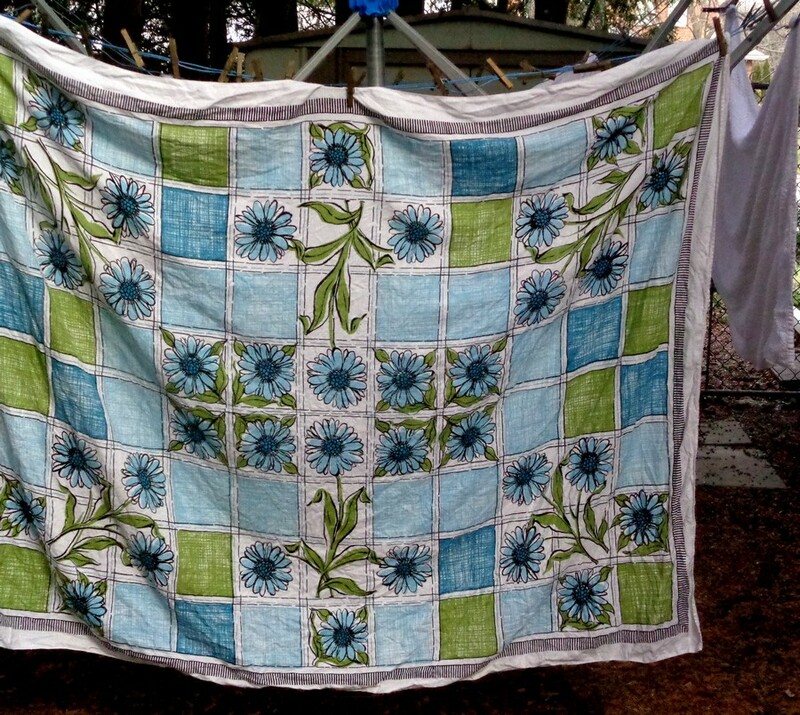 This tablecloth looks like it’s seen a few picnics and is ready for more! I love the 60’s look of this tablecloth. Bought at a second hand shop, so I suspect you’re right that it’s seen a few picnics… now lives occasionally on our kitchen table. I imagine it once upon a time gracing a formica and chrome table like my parents had. Big bouquet of daisies in the middle. Ah, spring! Cheery harbinger of summer, and yes, it must be especially charming with a jug of daisies in the middle. I am guessing it might be displayed that way on occasion at your house and hope for a future photo.